The All India Engineering Entrance Examination (AIEEE) was held all across the country today, ie. the 25th April 2010. Get the solutions to AIEEE 2010 from all the leading coaching institutes right here on this website. You can discuss about the AIEEE 2010 Paper using the comment form below. The AIEEE 2010 Cutoff will be posted after analyzing the paper throughly. Initial impressions from students indicate the paper was bit on the tougher side. Chemistry, Physics were average with Maths being toughest of them all. You can also see the AIEEE 2010 Solutions. Find the preliminary AIEEE 2010 cutoff list below. I will update the list(if necessary) after further analysis of the paper. Integrate Yourself With The Latest Happenings…. The results of the All India Pre-Medical/ Pre-Dental examinations AIPMT held on 3rd April 2010 have been announced. The AIPMT is a yearly college entrance exam which is conducted by the Central Board of Secondary Education (CBSE), Delhi for admission to MBBS and BDS . AIPMT is equivalent to All India Engineering Entrance Examination (AIEEE), which is also conducted by CBSE. The pattern of AIPMT exams has been changed from 2010 . Students be aware that the final exam of AIPMT 2010 will be held on 16 May 2010. It’s results will be declared on first week of June, 2010. While attempting the paper specially numerical and maths section where you need to solve higher calculus, always go for logical estimations which reduces the level of calculation and helps you solving the questions fast. AIEEE is an exam which demands a good question attempting speed. While preparing for AIEEE always focus on your speed that is the time spent over solving a question. Through regular practice try to increase your speed. AIEEE previous year papers are very important while preparing for it because many a times there are questions which are repeated from the previous year papers. AIEEE rank is based on marks scored in all three sections, so it important to attempt all sections. The average number of AIEEE applicants per test centre is likely to be more than that of the other big national level entrance examination IIT-JEE. Students should reach the test venue at least one hour before the scheduled start of the exam. Those travelling into a new city/town for appearing in the examination should take special care and include more travelling time to account for the unfamiliarity factor. The examination may have differential marking for different questions. One of the earlier versions of AIEEE had questions of this nature. So read the instructions carefully and under the relative difficulty levels of different formats. In case all the questions carry equal marks, then the strategy of the student should be based on time management i.e. identify those must do questions initially. Make sure that you identify those must do questions from each of the subjects — Physics, Chemistry and Mathematics — irrespective of the order of the subjects in the question paper. The Reserve Bank of India was established on April 1, 1935 in accordance with the provisions of the Reserve Bank of India Act, 1934. The Reserve Bank of India (RBI) Governor D. Subbarao to be present the annual monetary policy for this fiscal year 2010-2011 on Tuesday, 20 April 2010, accompanied by a classical predicament faced by all central banks of India to keep the momentum of growth or to harness in inflation. The Reserve Bank of India (RBI) Governor D. Subbarao has already signaled the exit of an accommodative monetary regime to tackle spiraling price rise by hiking key interest rates in last few months. With the signs of improvement in credit growth and a vision for near-term economic growth, The Reserve Bank of India (RBI) Governor D. Subbarao is expected to hike its repo and Reverse Repo Rates (RRR) by about 50 basis points (BP) in the meeting that is held on Tuesday, April 20, 2010. The repo rate now stands revised to 5 percent and the reverse repo rate to 3.5 percent. The Cash Reserve Ratio (CRR) is that portion of the customers’ deposits that the bank has to keep idle or in liquid form. An increase in the Cash Reserve Ratio (CRR) harmfully impacts margins immediately. This is the main point of disagreement between bankers and economists are whether and how much The Reserve Bank of India (RBI) will change Cash Reserve Ratio (CRR). 35% are of the opinion that RBI will hoist it by 25 basis points, 30% believe it will be increased by 50 basis points and 35% believe it will maintain status quo. The Tata Institute of Social Sciences (TISS) was established in 1936, as the Sir Dorabji Tata Graduate School of Social Work. Its establishment was the result of the decision of the Trustees of the Sir Dorabji Tata Trust to accept Dr. Clifford Manshardt's vision of a post-graduate school of social work of national stature that would engage in a continuous study of Indian social issues and problems, and impart education in social work to meet the emerging need for trained human resources. The Himachal Pradesh Board of School Education came into existence in 1969 through an Act No.14 of 1968. Until 1982, the Board had its headquarter at Shimla, which was subsequently shifted to Dharamshala in Kangra District in 1983. The Headquarter of Education Board Dharamshala is located at the foothills of the Dhauladhar ranges of western Himalayas overlooking picturesque Kangra valley of Himachal Pradesh. Kolkata - 700091 , West Bengal . IIST Admission Test – ISAT 2010 Solutions and Answer Key will published soon by IIST – ISAT Institutes. ISAT Admission Test is held for take jobs into organizations like NASA (National Aeronautics and Space Administration) or ISRO (Indian Space Research Organization). 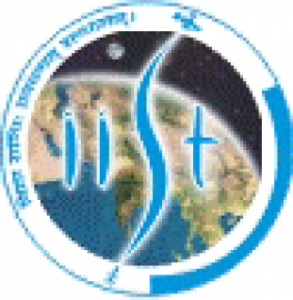 ISAT 2010 was conducted on 16th April 2010 all over India. The ISAT 2010 test was based on the 11th and 12th CBSE syllabus and is conducted in subjects of Maths, Physics and Chemistry. We will be providing ISAT 2010 Solutions here like we provided for other Indian Entrance Examinations. ISAT 2010 Answer Key will contain ISAT 2010 Keys for all the subjects. BSTC 2010 Examination Admit Card: The Pre BSTC 2010 examination form can be applied online. The details about the Pre BSTC Examination 2010 can be downloaded,BSTC 2010 Admit Card download , bstc2010.org. Pre BSTC Examination 2010 will be held on 02 May 2010. Its admit card has been released. Its admit card, exam centre and other details,Government College, Ajmer. BSTC Examination Admit card published on official website www.bstc2010.org. Govt. College, Ajmer has published Pre BSTC Examination Admit card 2010. BSTC Examination 2010 will be held on 02 May 2010 on Sunday. Exam centre and other details can be check by clicking the link below. The Bihar Combined Entrance Competitive Examination Board (BCECEB) has been constituted by the Government of Bihar in accordance with the Bihar Combined Entrance Competitive Examination Act 1995. PTET 2010 Admit Card Download (JNVU PTET 2010 Admit Card Online): The Admission Card for the JNVU PTET 2010 exam that will be held on 25th April 2010 will be available soon,We will try to update this blog with the latest information on the same. IIT JEE 2010 exam held all across India today was given by a whopping 4.7 lakh students. You would have already checked out IIT JEE 2010 solutions by now and after initial analysis I have uploaded the expected cutoff for JEE 2010. It would definitely help to send in your expected marks and paper analysis through the comments below. Find the expected cutoff for JEE 2010 below. This is based on preliminary analysis and would be updated (if necessary) later. Last year’s cutoff for general category was 178 marks (AIR 8295). Check the official rank list for JEE 2009 below. You can check out the list for the SC, ST and PD category here. IIT JEE 2010 exam held all across India today was given by a whopping 4.5 lakh students. While the first impressions from the students start to surface, I will try to bring you the IIT JEE 2010 solutions and the expected cutoff as soon as I can. It would definitely help to send in your expected marks and paper analysis through the comments below. IIT-JEE 2010 paper was held all across the country on 11th April 2010. Get the solutions to IIT-JEE 2010 from all the leading coaching institutes right here on this website. The complete solutions along with answer keys will be posted here. Also IIT JEE 2010 expected cutoff will be posted after analysis. Tell us about your IIT-JEE 2010 experience in the comments below. First impressions indicate Maths in the first paper was on the tougher side while the other two were of average difficulty. Maharshi Dayanand University (MDU) has announced the MDU results 2010. The examination results have been declared on 31st March 2010. Rohtak has announced results of 2009 examinations of various courses conducted by them. You can get your NIFT Results 2010 online,latest information on NIFT Entrance Results 2010. So just enter your exam no and get your NIFT Results 2010/NIFT Entrance Results 2010, National Institute of Fashion Technology - NIFT is one of the best Fashion Technology of India. Few month ago NIFT Delhi took the NIFT Entrance Exam on 21st Feb 2010. Now NIFT has declared the NIFT Entrance Results 2010. So get your NIFT Results 2010 now. You can get your NIFT Results 2010 online also. below is the latest information on NIFT Entrance Results 2010. छत्तीसगढ़ Dantewada (Chattisgarh), Apr.6 At least 20-25 Central Reserve Police Force (CRPF) jawans have reportedly been killed in an intense encounter between security forces and Naxals in the dense forests of Dantewada District on Tuesday. 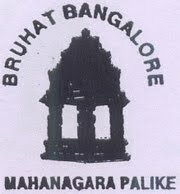 The council has 198 corporators, besides 52 others representing the BBMP Election Results 2010 | BBMP Election Results | BBMP Elections area in the State Legislature and Parliament, who are also eligible to vote in the Mayor’s election. 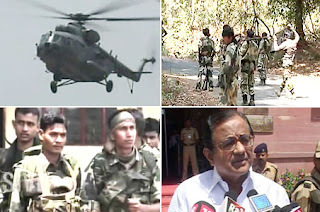 Declaration of the results of the MAH-MBA/MMS-CET 2010 on the website at 05-04-2010 at 5.00 P.M.